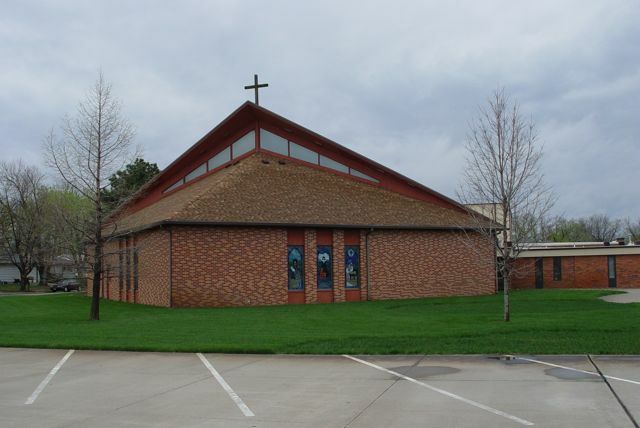 Due to the growth of Trinity Lutheran Church at tenth and Crawford Streets in Salina and looking for an opportunity to spread the Gospel in south Salina, the Kansas District of the Lutheran Church Missouri Synod, decided it was time to start a new congregation. In May 1962, the District purchased a block of land for $29,000.00 located at the corner of Highland and Magnolia. A parsonage was purchased one block south at 2467 Highland. The District called Rev. Stanley E. Jones to be the pastor. He accepted the call and with his family arrived in Salina on October 23, 1962 to establish a new mission congregation. Rev. Jones called on Trinity members who lived south of Cloud Street and asked them to help organize the new congregation. at the Hageman Elementary School, Sunday January 6, 1963. There were 69 present for Sunday School and 115 present for worship. The pastor's wife played piano for the service. All church meetings were held in the newly finished basement of the parsonage, as Hageman School could only be used on Sundays. The first voter's meeting was held April 17, 1963 for all men 18 years and older. The first constitution was adopted and the first council elected. Charter Sunday was held April 21, 1963 at Hageman School. There were 158 baptized members and 84 communicants that became charter members. 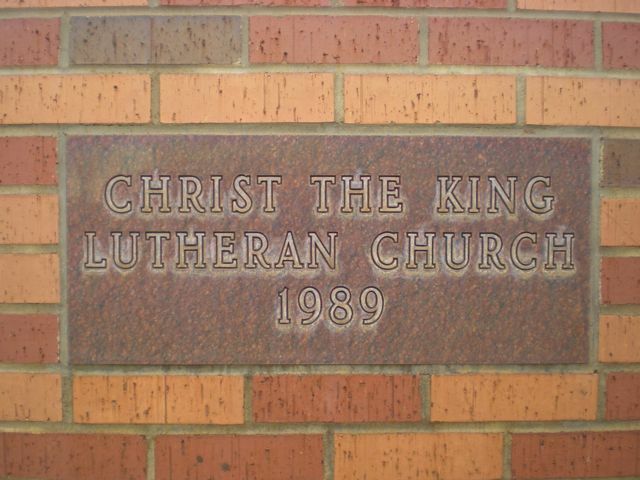 Christ the King officially became a member of the family of the Lutheran Church-Missouri Synod of Kansas August 13, 1963 at the 51st convention of the Kansas District in Wichita, Kansas. The first baptism within the new church took place on February 10, 1963.